Choosing the right company to help you with your finance can be a daunting task. There are so many options and alternatives. 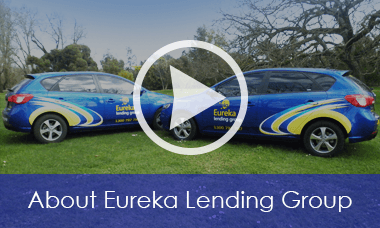 At Eureka Lending Group we have invested a lot of time and resources to ensure we can deliver a positive outcome for you. Finance is our business. Whether you are seeking a home loan - car loan - equipment finance - business or commercial loan or any other type of finance, we have a product to meet your needs. Our team has over 60 years of collective experience and have the knowledge and expertise to achieve a successful solution for you whatever type of finance you are seeking. "Our primary purpose as a business is to have an impact on your life"
When you call our team during business hours you will always get to talk to a professional based in Ballarat. No placing you on an automated call waiting system - No overseas call centres - No delays listening to voice messages. We are also mobile: Weekdays - After hours - Evenings - Weekends - By appointment. Experienced - We know finance and have the knowledge and expertise to help you. Great Outcomes - Yes... is a word we like at ELG - We strive to achieve positive results. We look forward to assisting you to achieve your financial goals. Call us today on 1300 797 797.